No one expected the Student Loan Debt Crisis to get as bad as it has, but now that everyone seems to be talking about it, from politicians to media personalities, to TV station talking heads, at least it’s getting some actual attention. The problem is that almost nobody is offering any real solutions for fixing the impending implosion that those of us who’ve been tracking this crisis all know will arrive when the debt bubble finally does burst. What I want to talk about today is what has caused the debt crisis, why it continues to get worse, and what I think needs to happen in order to turn things around. This article was stimulated by recent Yahoo Finance article on the same topic, which included some excellent research and statistics, and some fantastic quotes from Seth Frotman, Executive Director of the Student Borrower Protection Center, an organization I covered back in November of 2018, with a post called “What is the Student Borrower Protection Center?”. Mr. Frotman is a former Ombudsman from the Consumer Financial Protection Bureau (CFPB), a true insider who was responsible for helping to oversee the Department of Education’s handling of the student loan debt issue, and a person who can speak intelligently about just what has gone wrong with student lending. 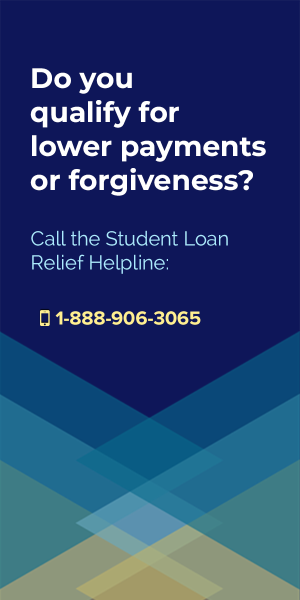 His interview with Yahoo Finance confirmed a lot of suspicions I’ve had about the source and cause of the student loan crisis, and I’d like to share some of them with you because I think it will be extremely helpful in explaining those issues, as well the way forward. The word “crisis” is not at all an exaggeration of the problem we face, because the financials just listed above point to a potential debt bomb that could bring down the entire economy if things go poorly. Think of the 2008 Subprime Mortgage Crisis for a recent historical analogy. Why has student loan debt grown at such an incredible rate? First, the debt bubble has exploded because student lending has historically received very little attention from regulators, as loans have been given out to anyone with a pulse. In the past several decades, because student loans were typically so much smaller than other forms of lending, like Mortgages, Credit Cards, etc., it was thought of as the “sleepy backwater in consumer finance”, explains Mr. Frotman to Yahoo Finance. Also, because the Federal Government guaranteed all student loans – meaning that they promised to pay lenders if their borrowers defaulted, lenders weren’t afraid to offer financing to people with very little or even no credit. And while that’s a great idea, in theory, because it allows anyone and everyone to access funds for college – the ticket to the American Dream. This situation of easy access to student loan financing wasn’t a problem in the early days of the 70’s and 80’s because there weren’t that many people going to college, each individual loan wasn’t all that large, and college students were generally pretty easily able to borrow money for school, graduate and get a decent job, then pay off their loans in a reasonable time. In fact, it was a great system for the times, but that whole dream came to a crashing halt when college stopped being the golden ticket to financial success. 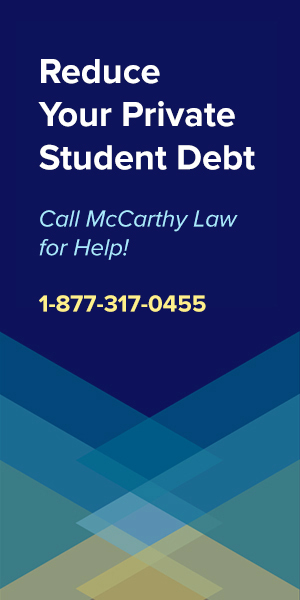 Since the 90’s, into the 2000’s and now deep into the 2010’s, we’re facing a radically different situation where student loan balances have soared, people are having all sorts of trouble paying off their loans (or even keeping up with their monthly payments), and there’s now so much bad student debt on the books of even major financial institutions that it literally threatens their solvency. This is essentially the 2008 Financial Crisis all over again, with bad student loans replacing bad mortgage loans as the hinge upon which our economy could falter. Meanwhile, as the cost of college has skyrocketed and the size of student loans have ballooned in response to those higher, higher education costs, what was once a quiet, low-profit margin lending industry has become one of the most profitable businesses around. Student loan lenders and servicing companies have been making money hand over fist for the past several decades, while regulators remained asleep at the wheel. The US Government should have been monitoring this space closely to prevent things from going off the rails, especially after what we saw with the 2008 Financial Crisis, but apparently nobody learned their lesson about easy access to credit, bad loans, and the threat they pose to the wider economy. And because no one stepped in to fill the power void and start regulating the behavior of out-of-control Colleges and Universities (who keep pumping up their tuition costs and fees), overly-aggressive Student Loan Lending Companies (who continue to hand out far too much cash to risky borrowers), and the Student Loan Servicing Companies (who are constantly being sued for all sorts of ethical and legal violations), things have gotten much, much worse in recent years. Basically, the Higher Education industry is completely out of control and while the Government’s role should be to bring in regulation to slow things down and get us back on track, they’re instead fueling the fire by continuing to encourage the runaway train by financing further growth of the student loan debt bubble with additional taxpayer dollars! As the 2008 Financial Crisis hit the big banks and private lenders, all of the sudden these institutions found themselves having trouble accessing their own credit, and once they realized they were having problems raising the money needed to cover their balance sheets, Congress had to step in. Apparently this bailout was offered to make sure that students would continue to be able to access loans even while the wider financial markets were locked up, which seems like a good idea if all we’re trying to do is pump more money into the ever-inflating student loan debt bubble, but it certainly didn’t help teach the banks or lenders any lessons. In fact, it allowed them to continue getting away with the same scam they’d just pulled off in Mortgages, but instead using Higher Education as the asset for inflating another incredible debt bubble. As further taxpayer dollars were used to fund additional student loans, further inflating that debt bubble, the Government found itself owning a huge percentage of America’s total outstanding student debt – via Federally Funded Student Loans. In 2010 things got so bad that the Federal Government stepped in and basically took over student lending entirely, pushing banks out of the way and beginning to issue far more loans directly to students, using 100% taxpayer dollars to continue inflating this out-of-control borrowing scheme. And for an even thicker layer of irony, who did the Government turn to for help in servicing all those new loans it was generating? The very same banks it had previously let run wild, then had to kick out of the lending side of the equation: Navient, Great Lakes, FedLoan and Nelnet, just to name a few. And these banks got back to business as usual, pursuing profit over the best interest of their customers, doing everything they could to inflate balances, rack up interest charges and drive borrowers into delinquency and default, so they could be hit with additional penalties, fees and fines. The servicing partnerships for these organizations are supposed to end this Summer as their initial contract with the Department of Education Expires, but because our Secretary of Education happens to be Betsy DeVos, who has extremely close ties to student loan debt collecting companies, it’s unlikely that any of them will actually feel any repercussions from their bad behavior. If you’re familiar with my site, or if you’ve been following the news about student loans ever since President Trump first took office, then it should come as no surprise to you why things just keep getting worse. President Trump’s plan for student loans sounded great when he first announced it, but he hasn’t followed through on any of his original promises, and as a result, things have continued to get worse. But his biggest blunder was appointing Betsy DeVos as head of the Department of Education. Betsy DeVos is not a friend to the ordinary American borrower – she’s on the side of Big Edu and Big Banks. She does anything and everything she can to continue making the student loan debt crisis worse, because it improves profit margins, and her obvious only goal is to help her friends make as much money as possible exploiting this broken system. The above is not a quote from someone else – it’s mine. I just blockquoted it to make sure that it stands out because it’s a very important piece of the puzzle in understanding why the debt crisis keeps getting worse, and why it won’t get any better at any point in the near future. Virtually everything that Betsy DeVos has done since taking the reins at the Department of Education has made things worse for borrowers. From failing to provide the forgiveness benefits promised via the Public Service Loan Forgiveness Program – which under her leadership is rejecting 99% of applicants, to grinding discharge approvals via the Borrower’s Defense Against Repayment Program to a screeching halt, all these actions are inflating the debt bubble, strapping American borrowers with even more debt, and making the debt crisis worse. The Department of Education is not just failing to distribute Federal Student Loan Forgiveness Benefits, which is bad enough, but they’re also failing to hold student loan lenders and student loan servicing companies accountable for follow the rules that the Department itself designed for the new lending and servicing system put in place around 2010. Remember how I mentioned earlier that student loans were essentially nationalized, as the Government became the biggest direct lender to borrowers? And that the Government hired the same corrupt banks it had just kicked out of the industry to service all those new loans? Well when this system was constructed, all sorts of rules and regulations WERE put in place for the servicing side, and the contracts were supposed to be dependent upon servicers actually following those rules. But DOE has been allowing these servicing companies to run amok, doing whatever they want without any repercussions, including wildly abusing their customers’ best interests and pumping the debt bubble up as much as possible in search of higher profit margins. What happens when DOE fails to step in and regulate these out-of-control servicers? The debt bubble continues to grow, ordinary Americans get buried even deeper in student debt, and our the wider student loan debt crisis becomes even more likely to cause problems for the entire economy when the bubble does eventually burst. What have the servicing companies actually been doing that’s so egregious? 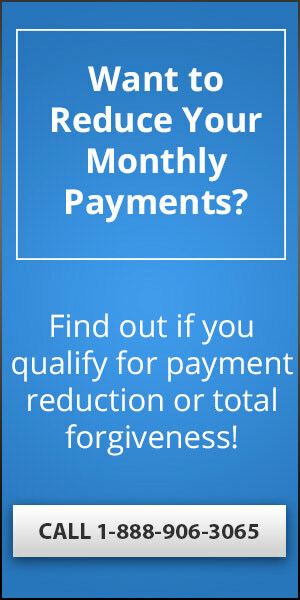 How about lying to consumers, misleading them to use the worst possible repayment strategies, hiding the existence of beneficial forgiveness and discharge programs and steering people to utilize deferments and forbearance programs that don’t help in the long run, but only add more debt to the balances they already can’t afford to pay off? But this is just the tip of the iceberg, because there are many more lawsuits, and lawsuits against not just the lenders and servicing companies, but also against some of the country’s largest Colleges and Universities as well (especially those for-profit colleges we all grew so accustomed to seeing advertising on Daytime Television). Why do you think so many schools have been shutting down over the past couple years? Did you know that 1,200 College Campuses Have Closed in the Past 5 Years? These schools are terrified of being dragged through court for basically being enormous money laundering operations, failing to provide a quality higher education, but simply funneling taxpayer dollars (via Federal Student Loans) to shady businessmen who only care about profits in one of the largest frauds ever perpetrated against the American people. But the sad thing is that, to date, the schools, lenders and servicing companies keep continuing to get away with it all scot-free! 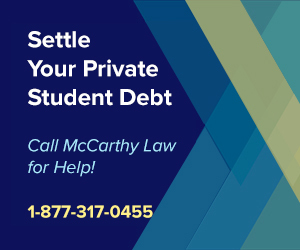 Is it any wonder that Navient is Being Sued by the CFPB and several State Attorneys Generals? 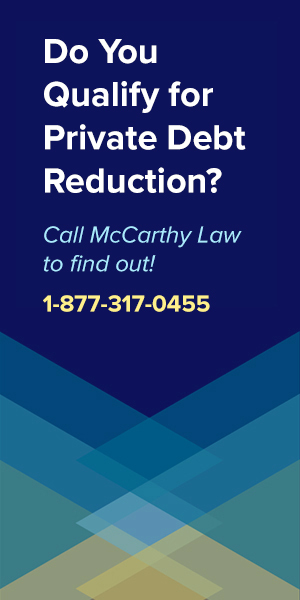 When the servicing company is actively harming it’s borrowers best interests, is being paid Federal funds to service those same borrowers, and isn’t facing any repercussions at all for this completely illegal (not to mention immoral) behavior – what kind of message does that send to the wider market? Should anyone be surprised that the student loan debt crisis just continues to get worse? Or should we expect more business as usual as long as the same people remain in power, and the same schools, lenders and student loan servicing companies are allowed to call all the shots? The big secret I want to let you all in on is that this all appears to be happening not by accident, but by design. 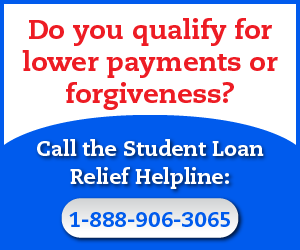 Over 11% of outstanding student loans are delinquent at least 90 days, or already in default. We’re now quickly approaching the delinquency and default rates that generated the 2008 Financial Crisis (which peaked around 21%), and which crashed the entire economy. 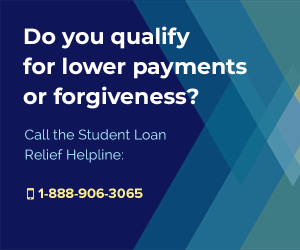 Making thing worse, a New York Fed report indicated that over half of current outstanding Federal student loans are sitting in deferment or forbearance status, meaning that repayment for those loans is currently paused. That means that interest is accruing on these paused loans and that when the debts go back into repayment, the interest will be capitalized, making monthly payments even higher and loan balances even larger than the point that borrowers were forced to set them on pause. I’m honestly starting to get dejavu from the daily headlines I’ve been reading. I’m seeing all the same sorts of stories about student loans that I got used to reading about mortgages back in 2007. And like I said at the beginning of this post, people are definitely starting to talk about it. Not it’s not just little people like me, with little websites, and major concerns, but BIG PEOPLE like JP Morgan’s CEO Jamie Dimon, who just recently called student loans a “Significant Issue“. But is anybody listening? Is anybody doing anything about it? I can tell you one thing for certain – the Trump Administration and DOE Secretary Betsy DeVos DO NOT CARE. They want this chaos, because it drives further profits for their friends. That’s the whole reason these two were put in power in the first place – to increase the bottom line. SOME Democrats do seem to care, with Senators Bernie Sanders, Elizabeth Warren, Tim Kaine and a few other regulars leading the charge and attempting to take Betsy DeVos to task, but there’s very little that they can actually do other than making noise. I am slightly optimistic, however, that we’ll start to hear a LOT more bluster about student debt and the wider crisis in the run-up to the 2020 election, and I’m looking to the likes of Beto O’Rourke, Kamala Harris, or maybe even everybody’s favorite Freshman Representative Alexandria Ocasio Cortez (AOC) to start making enough noise to generate real PROGRESS on this issue. One thing I do know for certain is that as long as we look the other way, or choose to leave things in the hands of the old guard – people like Maxine Waters, who just proved that she has absolutely no idea who’s really responsible for the student loan debt crisis, we’re extremely unlikely to see any real improvement. What can YOU do to help get us back on the right track? 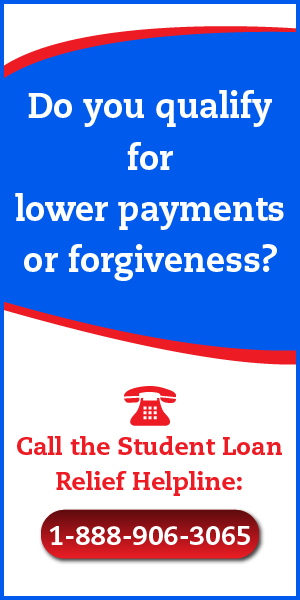 Start talking about student loans anywhere and everywhere that you can! Post links like the articles I mentioned here, or this article itself, to Facebook, Twitter, and Reddit. 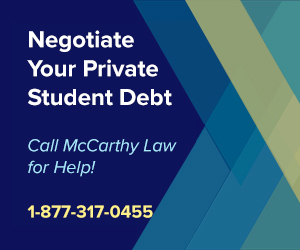 Donate to candidates who make student loans a top priority for their policy agendas, and make it clear that you will be VOTING based on candidate’s views and plans for dealing with student debt. The more people we get paying attention to this issue, the more noise those people make, the more likely we are to see some form of progress on the solving the continuing student debt crisis.